I imagine that the question mark at the end of The Last Dalai Lama? is there to make it a rhetorical statement rather than a declarative one, though I imagine the Chinese Communist government would be more than happy to change the question mark to an exclamation mark. Despite what one might think, The Last Dalai Lama? is not about the politics of His Holiness' struggle for Tibet. It is pretty much a literal question as to whether The 14th and current Dalai Lama will indeed be the Last Dalai Lama, but the film takes a while to get there. The Last Dalai Lama? is a sequel to the documentary Compassion in Exile, made twenty-five years ago by the same writer/producer/director, Mickey Lemle. Mixing his past interview with His Holiness with an updated one, along with the Long Life Celebration to mark His Holiness' 80th Birthday, the film covers a bit of what is generally known: the Chinese invasion and occupation of Tibet in 1950, the forced exile of Tibet's spiritual and political leader, the Dalai Lama, his interactions with the West. We hear a lot from the people influenced by the Dalai Lama both from 1992 and 2016, when the film was made. We hear from the former and current Deans of the Cathedral of St. John the Divine (a church that I have always considered a bit on the esoteric side versus orthodox Christianity). We hear from composer Philip Glass, who wrote the music to Compassion in Exile which is used in The Last Dalai Lama?, and we hear from former President George W. Bush, the first President to be seen publicly with His Holiness when His Holiness received the Congressional Gold Medal. President Bush, Jr. also shows the portrait of His Holiness that he painted, art now a major hobby for our former Commander-in-Chief. It takes a while to figure out what The Last Dalai Lama? actually means. It might be thought that the film was asking whether the XIV Dalai Lama will be the last one because there will be no real legitimate successor after his death. 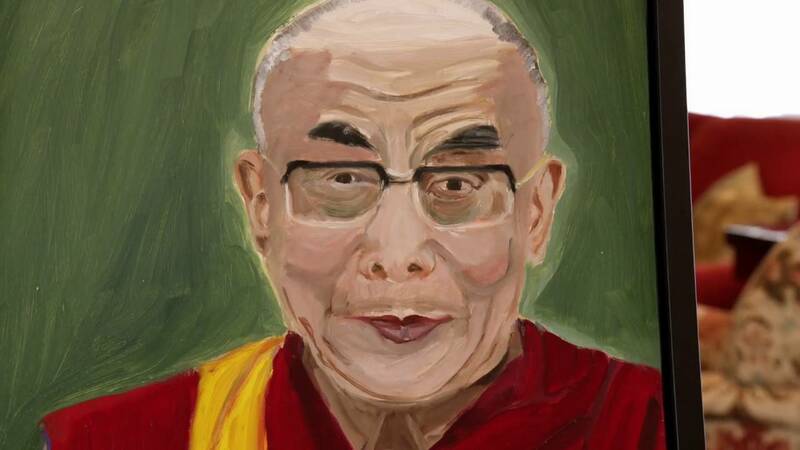 This is extremely possible given that the Chinese Communist government passed a law in 2007 declaring that they had the power, if not the actual responsibility and duty, to find the current Dalai Lama's reincarnation. The current Dalai Lama has a clever retort to this idea: the people will know the Chinese government's true sincerity on the matter when they not only acknowledge the reality of reincarnation but can find the reincarnation of Mao Zedong and Deng Xiaoping. Instead, the title refers to His Holiness' declaration from 2014 that "he will not be reincarnating and there would be no Fifteenth Dalai Lama". However, the Dalai Lama in the film leaves a little wiggle room, where if I understand things correctly, he may come back, but definitely born outside Tibet unless he sees conditions changed. Despite this, His Holiness reaffirms his position of a quarter-century past, that he still does not hate the Chinese. The Last Dalai Lama?, despite giving us that intriguing title, doesn't actually tackle the idea that the Fourteenth Dalai Lama may be the literal last Dalai Lama until near the end of the film. Moreover, the question relates more to the esoteric question of his potential reincarnation than on political rationale for there being no successor to the Dalai Lama. The film mentions that the Chinese government has made clear it would essentially select some poor schlub to sit on the Potala Palace throne. Even one who has the most cursory knowledge of the Tibetan situation could figure out that the Chinese would select their own Dalai Lama to legitimize their occupation of Tibet, a variation of when the last Emperor of China was made the puppet Emperor of the Japanese-occupied Manchuria, which they called Manchukuo. The question, however, relates to elements that to Western or secular minds sound down a bit bizarre. The reason that this man may be the literal Last Dalai Lama is not because the Tibetan method of finding the reincarnation cannot be verified under current circumstances, but rather because the current Dalai Lama has declared that he will not reincarnate. A bit like The Doctor on Doctor Who refusing to regenerate, though on Doctor Who he really can't actually refuse...he will, whether he wants to or not, until he is finished with his regeneration cycle. I personally suspect His Holiness has made this declaration as a strategic move, to stop the Chinese from picking someone they can control and bend to their own will. By saying he will not reincarnate, he is removing a weapon from the Chinese's arsenal to use against the beleaguered Tibet. However, the hints His Holiness is leaving allow for a very light crack to open to a potential successor. It's a very long game His Holiness appears to be playing, but The Last Dalai Lama? does not touch on these aspects. Instead, like many films and documentaries on His Holiness, The Last Dalai Lama? is content to showcase His Holiness in a positive light. It is easy to like His Holiness, who reminds me of Old King Cole (with his perpetual grin and soft laugh, His Holiness seems a 'merry old soul'). We learn of his interests in education, which in some schools use Tibetan Buddhist ideas. A visit to a Canadian school showcases not just the mind-body connection, but also the idea of 'mindfulness'. A very exited and nervous teacher asks the children after his visit, "Did you use your mindfulness? ", which to me sounds a bit hippie-drippy, but there it is. The Last Dalai Lama? is a respectful, respectable portrait of the Monk from Lhasa and touches on the idea that we may literally not see his like again. Whether the film should or could have featured more about the ramifications of His Holiness' declaration of no return is something the viewer should answer for him/herself.